Virgin hair is hair that has never been processed. It can be dyed or colored, but that will remove it from its virgin state. We DO NOT issue any refunds once we receive your payment. Items can be exchanged within 3 days of receiving your order. Items must be shipped back in its original condition and buyer is responsible for any shipping charges incurred when returning an item. All orders will be processed within 7-10 days after payment is processed. We can. Shipping charges may apply. Contact us for prices on international orders. Can the hair be dyed or bleached? All virgin hair can be dyed or bleached. Please be advised that by doing so, you will be taking the product out of its virgin state. 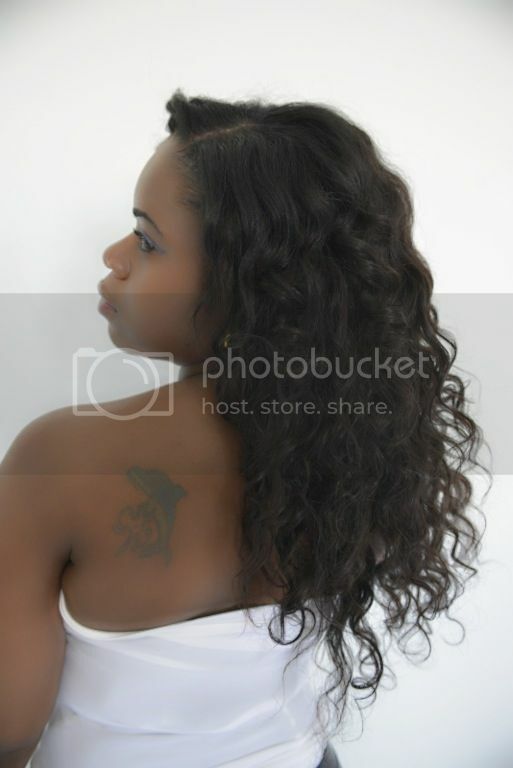 Our virgin hair can last 6 months to 1 year with proper care. How many ounces of hair are in each bundle? Each bundle contains at least 3.2-3.5oz. 2 bundles can make a full head, but for a fuller look, we recommend using 3 bundles of hair (3 bundles = 1 LOT). Does the hair tangle or shed? Our hair is tangle free with little to no shedding. Some clients choose to seal their wefts. How do I measure the length? Why are there grey hairs in my bundle? All virgin hair will contain a few grey strands and is perfectly normal. All payments are safe and secured through PayPal. Bill Me Later is available upon credit approval. (other terms and conditions may apply) Cash or Credit Card is also ok.